Our cases are made of durable hard wood and covered with scratch resistant fabric, and are carefully stitched to create a gorgeous presentation! Chrome latches and feet also help protect your valuable guitar and present an A+ appearance! 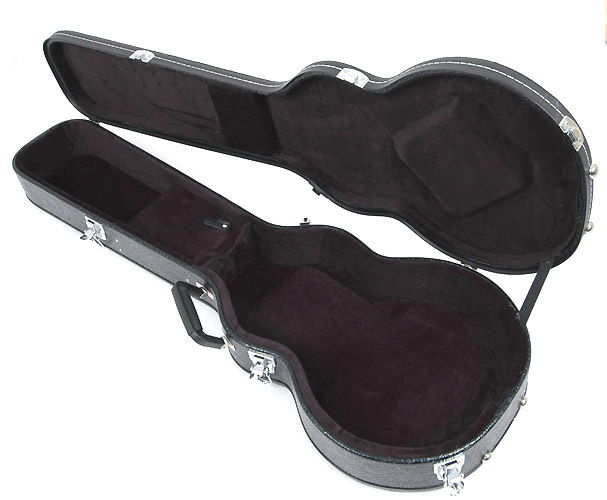 Inside, they are well padded with a plush lining, and feature a handy storage compartment for accessories such as a strap, capo, strings, tuner, picks, or small sized effect or effects! FAST SHIPPING ! !These are NEW and Perfect. Width at the lower about: 13 1/4"
Don't take our word .. read feedbacks from those who bought them. Some have bought up to 6 sets.